Can Your Dog Play Fetch...By Himself? Oh, go ahead and spend just two minutes of your weekend watching these savvy canines play fetch with no help from humans—it's worth it! By the way, let us know if your pooch ever plays fetch by himself—we'd love to hear your stories! P.S. I simply wait for Parental Unit to throw one of my toys...and then I taker it to my man cave under her bed. There's no "fetching" involved in my game! I've played ball by myself before. It's fun! Way too cute! I especially like the dog on his back. That's pretty clever - and more Ruby's speed. Though between us, I am not sure she would be able to figure this out. Ha! I think I'm the smartest of all cause I just wait for Parental Unit to expend her energy to throw...I save mine for the "fetching"! FREE Newsletters And Coupons Here! Now Enjoy Bocci's Beefs By Email! 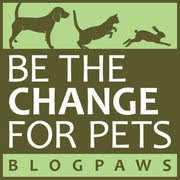 Blog Written by Joan DeMartin and Bocci. Awesome header design by artist extraordinaire, Darrin Hoover. Fabulous photos of Bocci by Rachel Lauren Photography. Add Us To Your Sidebar! 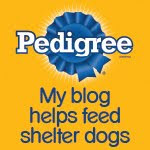 We're A Top Dog Blogger!